We Salute the 98th Anniversary of the Bolshevik Revolution of 1917! We proudly salute the 98th anniversary of the great Bolshevik Revolution of 1917! On 7 November 1917 the revolutionary socialist workers and soldiers of Russia, led by the original Leninist vanguard Bolshevik party of Lenin, seized power out of the hands of the reactionary bourgeois-democratic Kerensky regime, which intended to continue participating in the bloodbath of WWI. 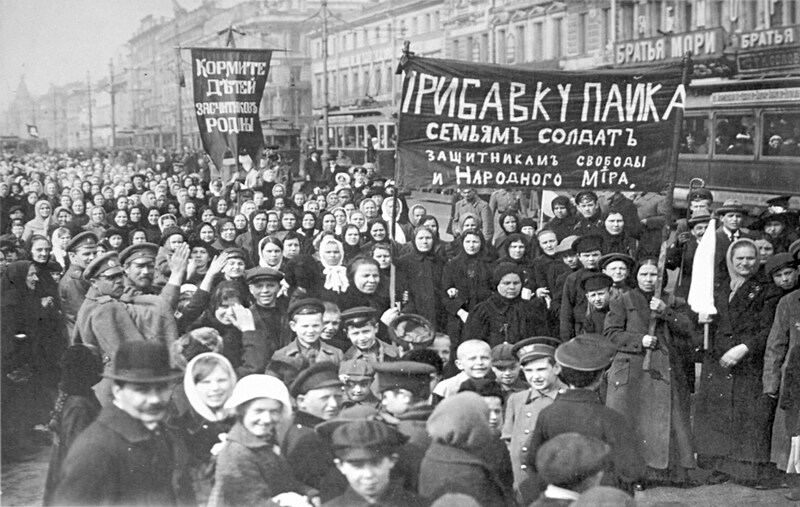 This revolution was not a putsch; the Bolsheviks had won to their program the industrialized workers of the major cities in Russia, as well, crucially, as the masses of Russian soldiers who refused to fight any longer for the hated Kerensky regime, and the long brutalized peasantry whose fathers and brothers had provided the bulk of the cannon fodder of the Tsarist regime. Thus, for the first time since the too-brief insurrection of the Paris Commune in 1871, the working class found itself in possession of state power! This time, however, it was led by a new type of revolutionary political formation: the Leninist vanguard party. This party, armed with a firm dedication to revolutionary Marxist principles, and having won the hearts and minds of the industrialized working class, soldiers and leading revolutionary elements of the peasantry, was prepared to defend its possession of state power by any means necessary. The betrayal of the revolution began before the death of Lenin, as Stalin and his acolytes started consolidating their power while Lenin lay dying. The triumph of the Stalin clique over Trotsky’s Left Opposition led to the emergence of the Stalinist dogma of seeking reconciliation with the capitalist world while simultaneously embracing the thoroughly anti-Marxist and anti-Leninist theory that socialism could be successful in one country only. This utter betrayal of the fundamental philosophy of Marxism/Leninism led inexorably – as Trotsky predicted – to the collapse of the USSR and the restoration of capitalism in Russia, brokered by the Stalinist bureaucracy itself, in 1989-91. Thus the Third International collapsed in a heap. Still, the “Communist Parties” whose Russian masters brokered the surrender of the USSR with nary a shot being fired in its defense remain, somehow, alive! In Greece, and throughout Europe, these remnants of the utterly discredited Stalinist “Communist” parties still act as if they were somehow revolutionary, though they have refused to draw the necessary theoretical lessons from their 3rd international’s betrayal of the USSR. Only the Trotskyists like ourselves remain as the sole representatives of the unbroken heritage of the revolutionary socialist traditions founded by Marx, Engels and Lenin. Even the banners of the Fourth International have been sullied from time to time by the class-collaborationist programs of too many parties who claimed to be adherents of Trotsky but who proved to be anything but real Trotskyists. We seek to reforge the revolutionary socialist traditions of the Fourth International, by seeking to recruit members of the completely discredited Third International who seek the road of Marx, Engels, Lenin and Trotsky. We republish, in honor of the 98th anniversary of the Bolshevik Revolution, Leon Trotsky’s essay “From July to October” as originally presented in his autobiography “My Life”. 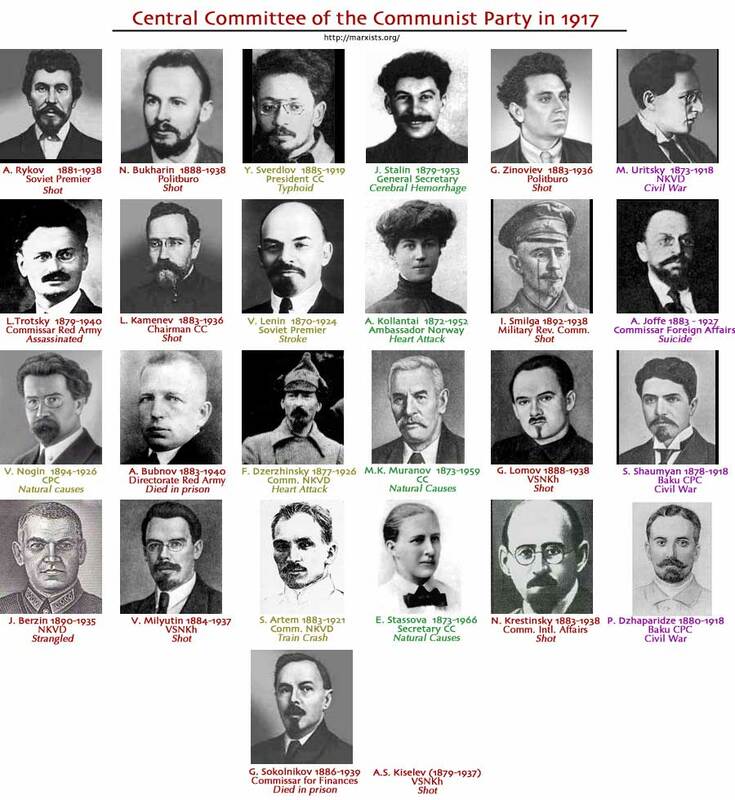 This article describes in detail the development of the Russian revolution from July, 1917, when the Mensheviks and Kerenskyites tried to strangle the revolution in its cradle. The essay proves conclusively the importance of the need for a revolutionary Marxist/Leninist/Trotskyist vanguard party in order to successfully outsmart the ruling class treachery that seeks to trick the naive workers into surrendering their arms in exchange for empty promises of reforms, after which the bourgeoisie will reorganise itself and drown the revolution in blood. Lenin’s Bolsheviks, armed with a deep histroical analysis of the many ways that the ruling classes have destroyed revolutionary movements throughout history, did not succumb to the Sibyll’s song of the ruling class for a rapprochement between the workers and the capitalists. ALL previous revolutionary movements HAD been seduced by the treacherous promises of leniency and reforms that came from the lying tongues of ruling classes in their desperate efforts to avoid overthrow. All those who express their hatred of “Leninist vanguard parties” betray their actual support for the capitalist status quo – WITHOUT EXCEPTION! By opposing the creation of Leninist vanguard parties, these fake-revolutionaries – chiefly anarchists and phony socialists – declare their opposition to the ONLY FORM of revolutionary Marxist paty that has EVER been successful in overthrowing the capitalist class! We need to create new Bolshevik parties right here in the USA and all over the world in order to overthrow the capitalist classes of the world, which threaten to plunge the world into a third world war. Time is running out, brother and sister workers! We call upon all revolutionary socialist workers to contact us to begin the creation of the new Fourth International parties that will finally triumph over the ruthless, savage, greed-based capitalism that has kept billions of workers living in poverty, and that murders tens of thousands every day through war, assassination, and starvation.